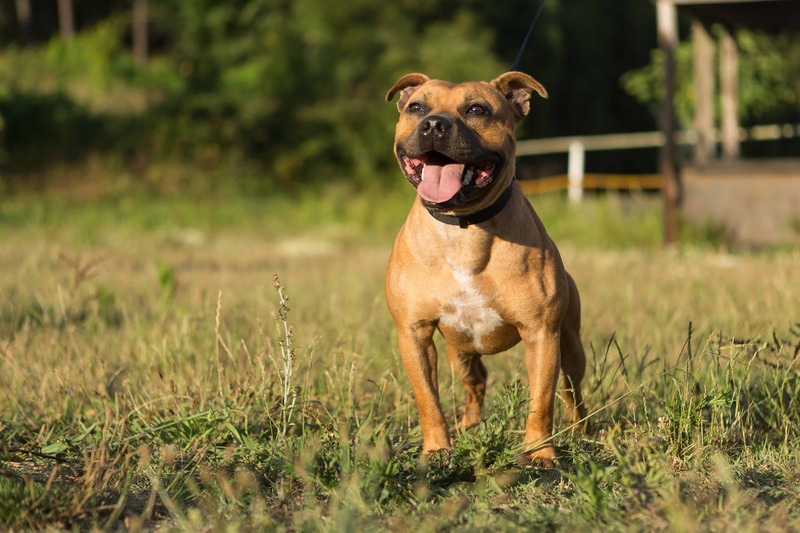 The American Staffordshire Terrier is energetic and muscular medium sized breed of dog that contains short coat and courageous and loyal temperament. They are very solid, outgoing, confident and strong for their size. 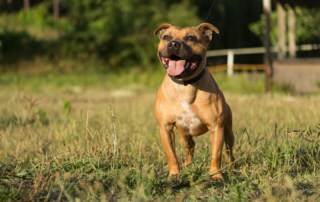 The American Staffy is one of the most popular dogs for families that include their dogs in activities because it is very energetic and enjoys exercise. 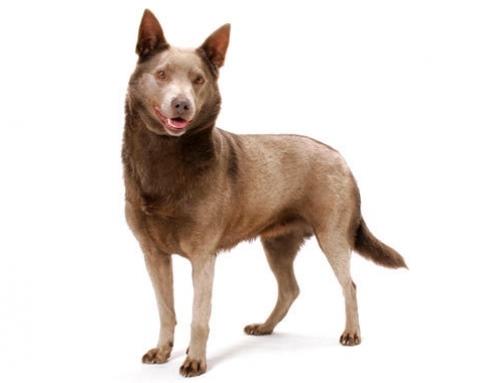 Even though they have the scary appearance, after selective breeding, they became more patient and friendly with children. 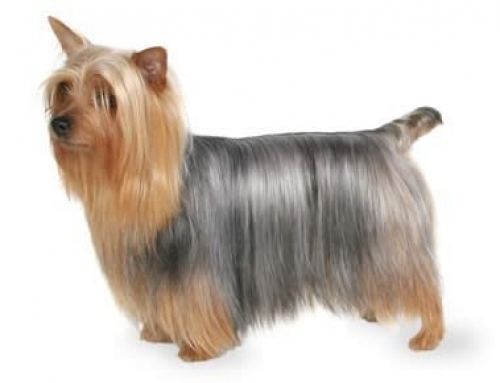 They are very protective, especially for their family, which means that they will always protect owner in case of any danger. 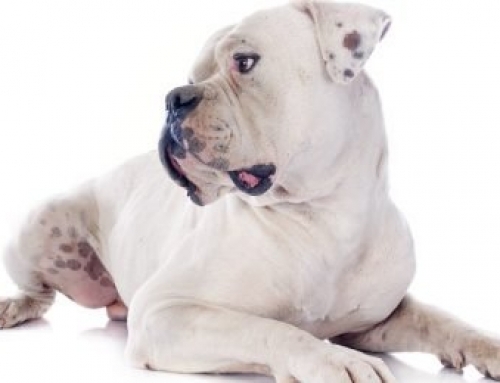 It is essential to provide him a regular exercise because that way you will keep him happy and behaved. 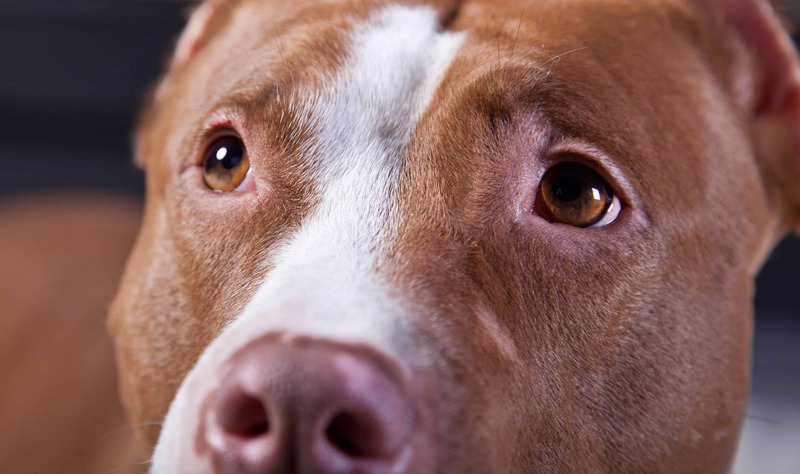 They are sociable dogs, that need human contact and during separation, they can suffer from anxiety, especially when left alone. 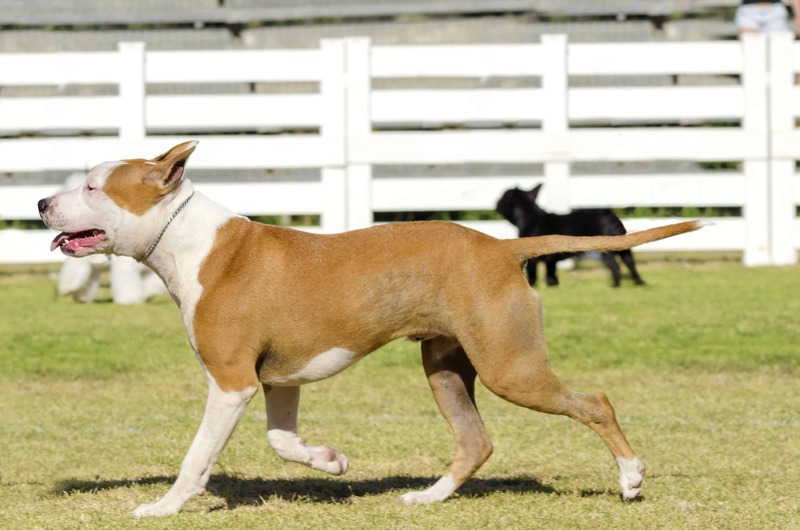 The American Staffy (American Staffordshire Terrier) can reach up to 56 cm in height and 30 kg in weight. Their hallmark is their muscular appearance. 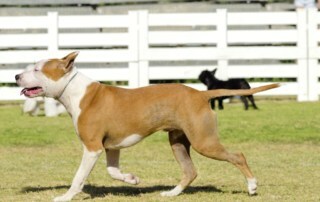 They are actually mixed of different terriers and English bulldog. 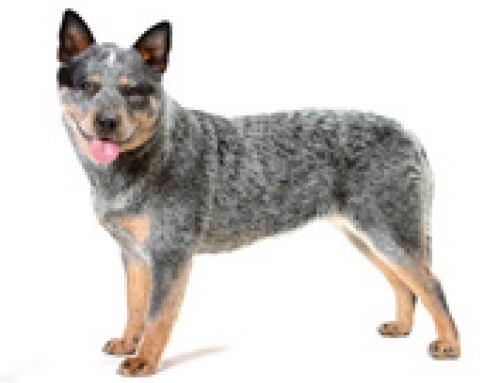 The reason why they were bred is that experts wanted to combine courage, strength, and tenacity in one animal. 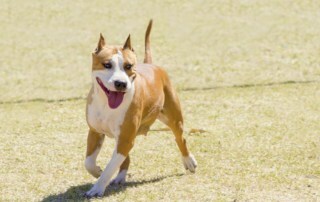 The result was American Staffy. 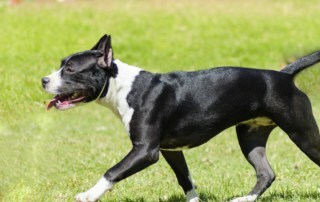 Even though he was named the American Staffy, they originated from Staffordshire in the UK. The breed was developed in Midlands of England and further reached the United States in the 19th century. 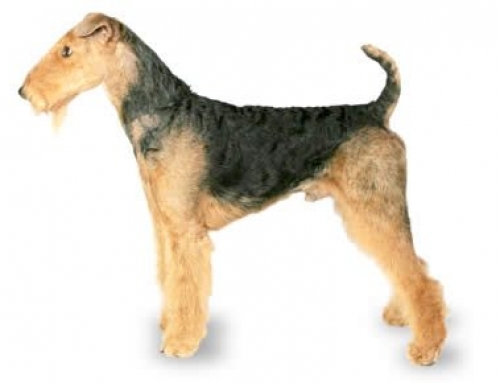 People view it with suspicion, but breeders worked tirelessly in order to out the aggressiveness. 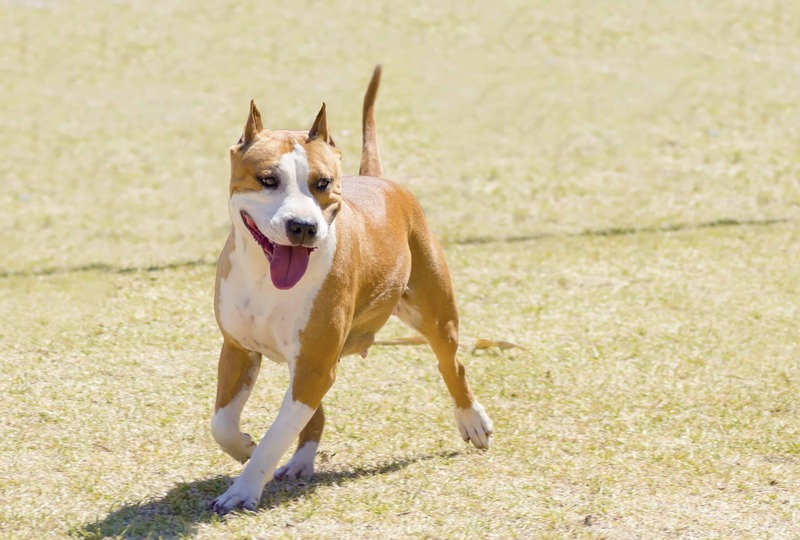 The American Staffy is a highly intelligent dog with independent and inquisitive style. It is gentle and handles a great deal of affection towards children of the family. They are good with children, but still, you should be there all the time. Congenital Heart Disease – The American Staffy can suffer from different forms of heart diseases. Congenital heart disease is genetic and it causes a serious problem that can result in a fatality. 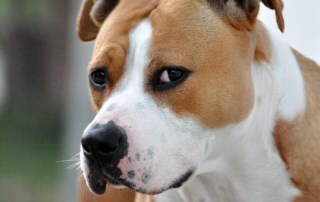 That is the reason you should get American Staffy insurance with us. 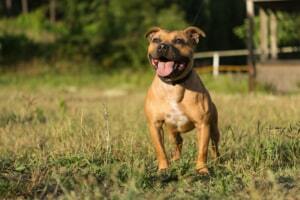 American Staffy is known as Staffordshire terrier and it originates from the United Kingdom. 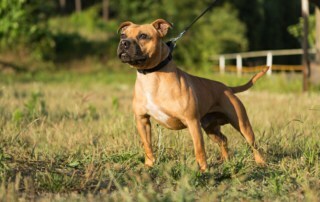 American Staffy appeared in numerous advertisements.